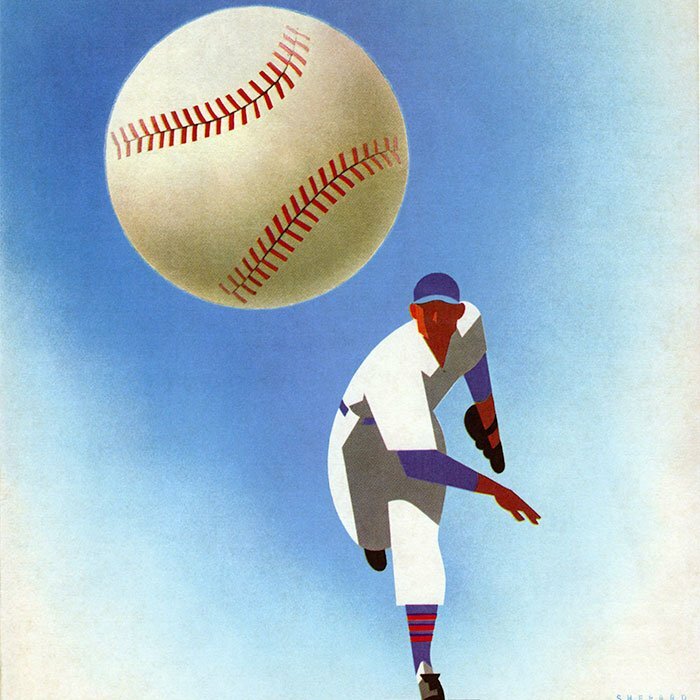 In the 1930s, meeting someone such as like Philip Knight Wrigley could change a designer’s life. Otis Shepard met Wrigley around 1932 and was soon made art director for the Wrigley company, then the largest chewing gum manufacturer in North America. 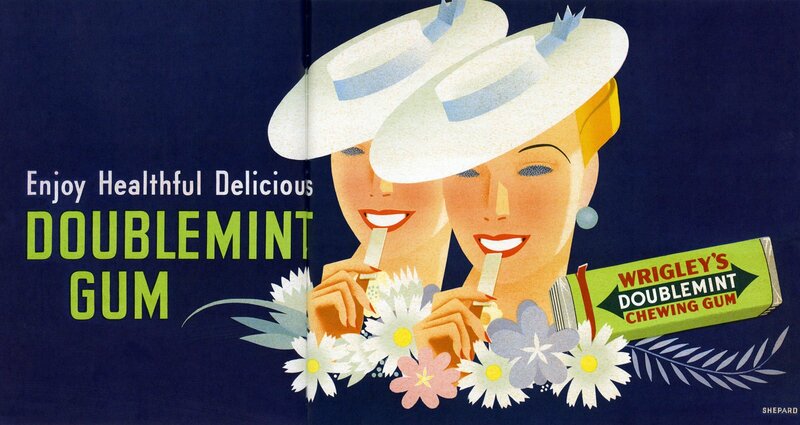 With his wife Dorothy, Shep, as he was called, created the iconic Doublemint twins, while Dorothy designed a massive neon Wrigley display for Times Square in 1936 that was eight stories tall and one block long. She won a National Advertising Council Award for it. But designing ads for chewing gum wasn’t the only thing the Shepards did for the Wrigley company. They also designed packaging, displays, even the menu for the company restaurant. And in 1936 and 1937, they supervised a complete design overhaul of Wrigley’s baseball team, the Chicago Cubs. They designed new scorecards, signage, tickets, concession stands, scoreboards. Their modern uniforms became influential throughout the baseball world. For spring training, the Cubs traveled to Wrigley-owned Catalina Island, off the coast of Los Angeles. For their widest ranging assignment yet, P. K. Wrigley charged the Shepards with designing visual elements to help transform the island into a tourist destination. Drawing on Native American and Spanish influences, they created staff uniforms, interior design, murals, and the typeface on signs. 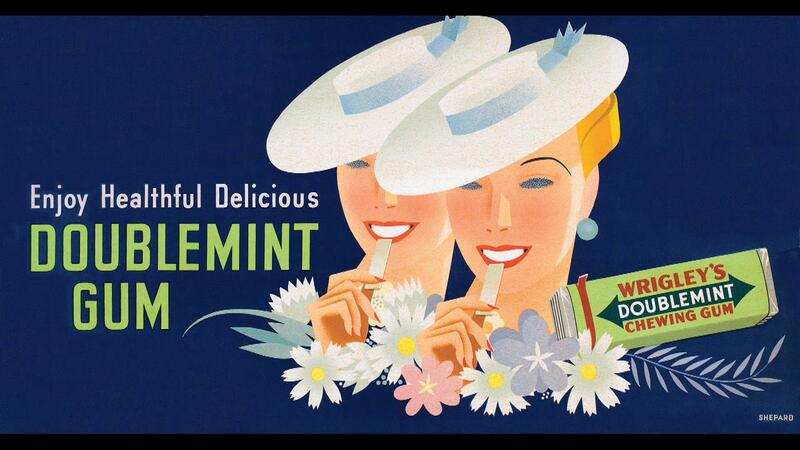 Before they became Wrigley’s go-to designers, the Shepards were famous for their billboards. After the 1921 passage of the Federal Highway Act, advertisers recognized the power of billboards to reach consumers. Shep, who had fought in World War I, worked for one of the leading ad firms in San Francisco after his return from the army. Dorothy, the daughter of a Berkeley professor, joined the same agency in 1927. The pair married in 1929. They honeymooned in Paris, Venice, Zurich, and Vienna, where they were inspired by European modernism, a reduced and sleek style that they soon incorporated into their work. Explore more of Chicago's modernistic design in a story spotlighting two museum exhibits. Though they divorced in the 1940s, they reunited in 1962. Their names may be relatively unknown, but their style is not.